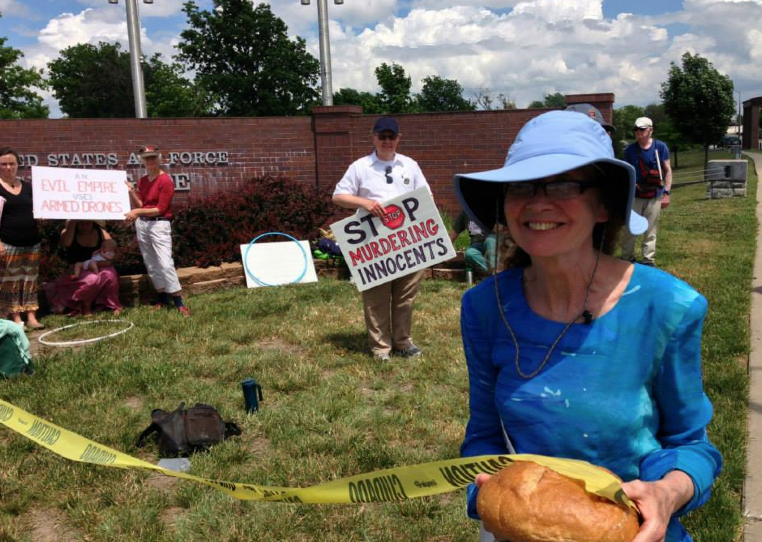 Kathy Kelly has been incarcerated at Lexington Federal Medical Center's Prison Camp for 90 days after attempting to deliver a loaf of bread and a letter to the commander of Whiteman Air Force base, asking him to stop his troops from piloting lethal drone flights over Afghanistan from within the base. 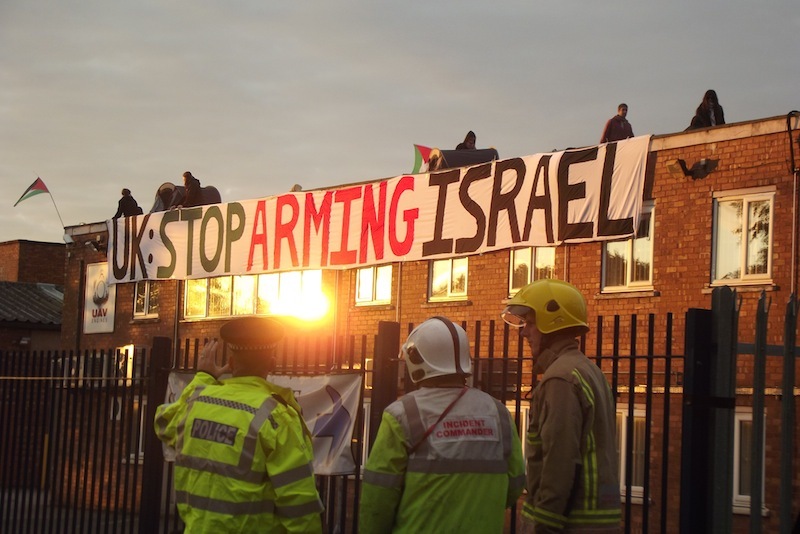 This follows the announcement that all charges have been dropped against nine campaigners who occupied the roof of an Elbit Systems factory in Staffordshire during Israel’s 2014 assault on Gaza. This means that the UK government will no longer be required to reveal details of the arms trade with Israel, and Elbit will avoid having to testify about the use of its drones during Israel’s massacre in Gaza last summer. The Israeli-owned factory exports engines to Israel for use in Elbit’s Hermes 450 drones, that are widely documented as having been used to deliberately attack Palestinian civilians in Gaza, as well as being used extensively by the US/ NATO during their occupation of Afghanistan.